It’s hard to believe that one of nature’s most pure, beautiful and life-sustaining bounties, water, could run into so much trouble. But here we are. 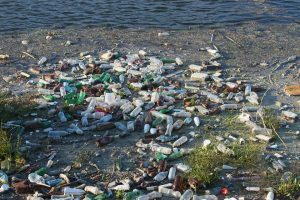 Trashed and polluted rivers, creeks, lakes, beaches and oceans. Tragic drinking water crises such as Flint, Michigan, where the public water system of a major city was contaminated with lead. Countries around the globe struggling to maintain clean drinking water systems for their people. It’s no wonder so many people don’t trust tap water from the faucet. They end up double-paying for water; buying bottled water in the store and paying water bills at home (one way or another as renters or homeowners). They hit the soda or juice when thirsty, instead of water, thinking it’s the healthier option. It’s not. Soda, juice, energy drinks and other store-bought drinks are often filled with sugar, which contributes to obesity and diabetes. Then there are the empties, after the last sip. Sure, we want and wish all used plastic bottles would end up in the recycling bin for an environmentally gentle decline. But years of studies show that huge numbers don’t. They end up in the ocean, rivers, creeks, shorelines, along our streets and in our parks. Not to mention piling up in garbage dumps and landfills where they take years and years to break down– 450 years according to the National Ocean and Atmospheric Administration. Tap water here in the East Bay is largely safe and clean. In Richmond, El Cerrito, San Pablo, El Sobrante, Pinole and throughout the area. We’re lucky to have some of best quality urban drinking water in the country. 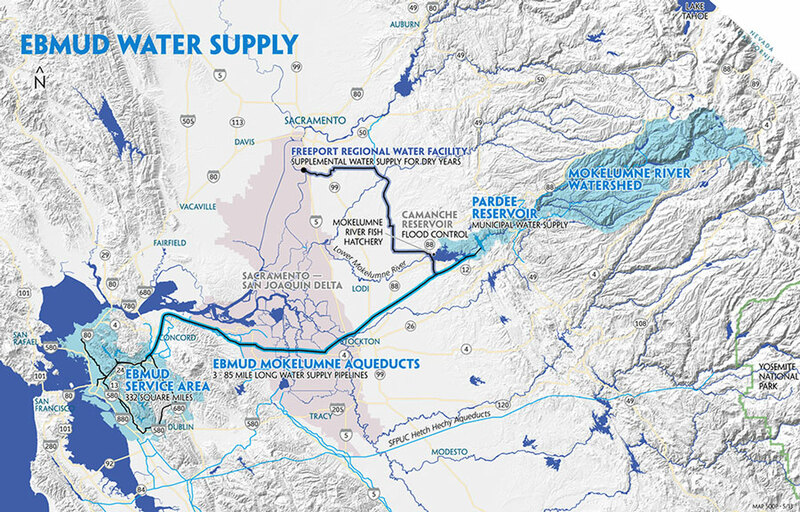 Our water, distributed by the East Bay Municipal Utility District (EBMUD), comes from the snow-fed Mokelumne River in the Sierra, a protected watershed. It’s tested regularly, and meets or exceeds state and federal water standards, including in the most recent tests. Tap water is often safer than bottled water, according to research from the Environmental Working Group (EWG), a national nonprofit committed to consumer safety. The EWG, which can be controversial, is concerned about leaching from plastic bottles into the water. Not to mention that many brands of bottled water are simply tap water, dressed up for sale. 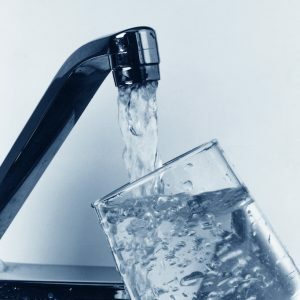 The EWG publishes an online tap water safety database. All you need to do is put in your zip code or other identifying information. Try it yourself here. For EBMUD, it concludes that water from EBMUD is in compliance with federal health-based drinking water standards (for the most recent period tested). The EWG isn’t a fan of bottled water, preferring the tap. But its top choice is tap water with a home water filter. These are easy to find online or at any home supply store. EBMUD, however, says it’s water is safe even without a home filter. Check out it’s Drink Tap page. This doesn’t mean that our East Bay water is slam-drunk perfect with every drop. We all need to be Water Warriors, advocating for our right to safe drinking water. 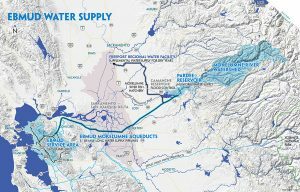 Think of our tap water as a giant system that starts with the Mokelumne with pipes and culverts and reservoirs and dams and treatment plants before it reaches us. EBMUD tests the water along the way, right up to main water pipes outside our buildings. See updated EBMUD water quality data here. Glitches can happen. Usually, these are discovered and remedied right away. But the pipes inside our buildings (homes, apartments, schools, businesses) aren’t maintained by EBMUD. They must, however, meet strict building codes set by the County and State. And most of the time they do. But old, rusty, or broken pipes can contaminate water. What can you do? Water Warrior mode. Eyes, ears and taste buds on your water. In most cases in our communities it’s safe. Don’t spend your hard earned cash on bottled water or break your diet with soda unless you know you need to. If your pipes are, leaky or damaged, get them fixed. If your tap water smells stinky or looks funny, cloudy or discolored, contact EMBUD customer service right away. It could be something inside your house, but if it’s a system problem, EBMUD needs to know right away. If you rent, also tell your landlord. Property owners are legally required to provide functioning plumbing for safe access to water. EBMUD offers its customers free, yearly lead water testing. It will advise you on testing for other contaminants. To learn more contact EBMUD customer service at 1-866-403-2683 or by email at customerservice@ebmud.com. Stay tuned for more stories in future newsletters on drinking water, and how we can best quench our thirst, balance our budgets, mind our health, and prevent piles of plastic garbage.